Are you looking for a fun, creative Easter recipe that you can make with your kids? 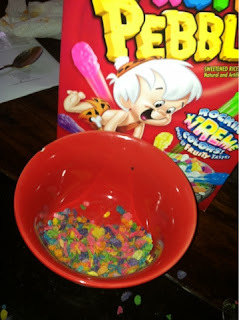 We love this idea that includes Fruity Pebbles Xtreme! We are LOVING these awesome colors that are neon bright, and perfect for Easter and Spring! 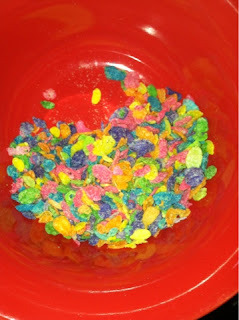 My kids love eating them for breakfast, because they are so much fun! You can also add some green food coloring to white chocolate, dip a pretzel stick into the melted GREEN chocolate, and then roll the cereal on to the sticks! What fun! They are delicious AND look great! MamaBreak received a box of Fruity Pebbles Xtreme to review here on the website. We did not receive any other sort of compensation. As always, our opinions and experiences are our own. That is one of my favorite cereals!!! I would've never thought to do this. I have to try this for my 2 yr old, he's going to love it. I've never thought to do that with cereal before! Definitely on the "keep kids occupied & playing nicely" list. What a great idea! I'm seriously going to do that this week. Thanks for sharing! Nice and easy with an adorable wow factor! Cool! I love this idea, I would never have thought of it. I think i will make some for my Daughter's Easter party. The pretzels look incredible. 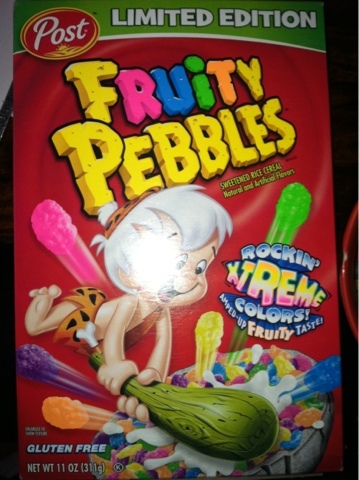 Fruit Pebbles are my Favorite cereal. What a great idea! We have got to try this out! That looks like such a fun project to do with the kids that isn't too messy! Thank you for this, I can't wait to do it!